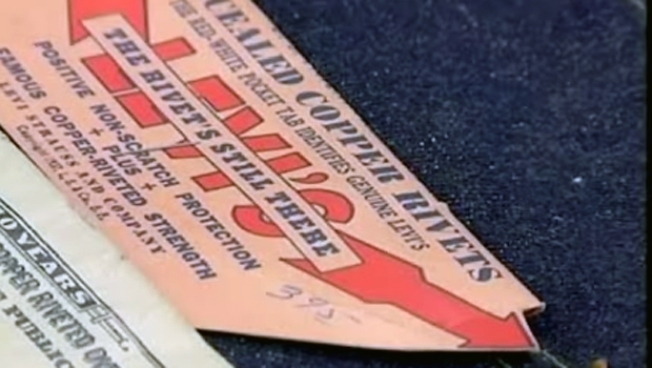 A pair of 1937 jeans with the tags still on them could be worth tens of thousands of dollars. Workers at a clothing store near Fresno made a huge find -- a never-worn pair of custom-made "button-fly" Levis. The 1937 jeans still have the tags on them. The workers found the vintage jeans while cleaning out a backroom. They think they may be worth up to $40,000.